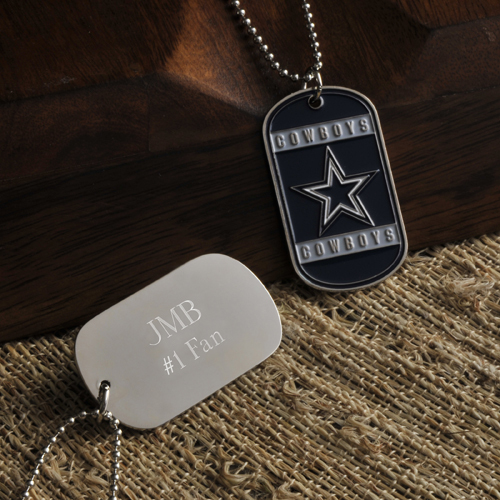 * Show your loyalty to the boys on the gridiron with these custom personalized NFL Dog Tags! * Each includes team name and logo as well as a long, easy-on-and-off chain and plenty of room for personalization. * Choose your favorite team and wear it during football season and all year round! * All NFL teams available. * Tag measures 2 1/8" x 1 1/4" x 1/16". * Chain measures 17 1/2". * Personalize with 2 lines of up to 15 characters per line. 2.125" x 2" x 1.25"